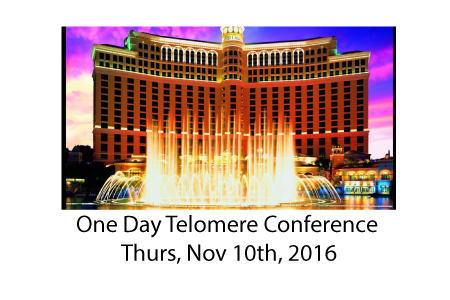 On Thursday, Nov 10th, there will be a Age Medicine Management Group (AMMG) special pre-conference day of lectures feature leading experts in telomere biology prior to the 21st meeting in Las Vegas on Nov 10-14th. Presenting will be a few of my friends who always put on a good show!! Dr. Joseph Raffaele, architect of The Patton Protocol, and author of three papers on TA-65. Dr. Bill Andrews, noted telomere scientist and CEO of Sierra Sciences. David Woynarowski, M.D., CPT, founder of Dr.Dave’sBest.com and author of The Immortality Edge. Hotel blocks at The Bellagio for $221 are another matter. 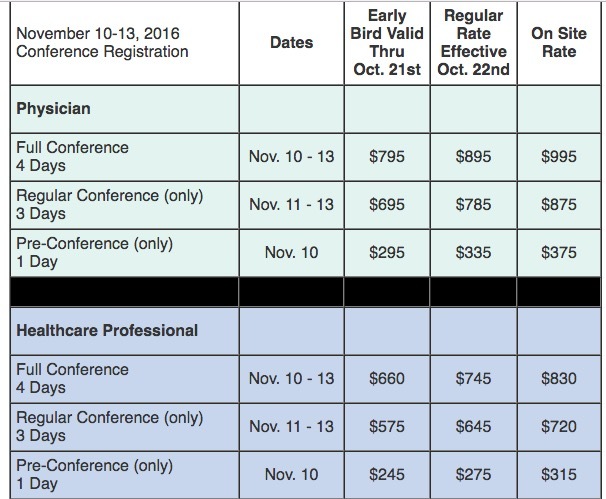 They expire Saturday Oct 21st, so reserve NOW (and cancel if you must). If you can fly in for this once in a lifetime chance to hear the world’s experts in telomere biology, you should consider it. DISCLAIMER: I am not currently planning on attending. This is an unpaid notification and not an advertisement. It is provided for my readers who might interested in telomeres but may not have known of this event. I have requested a complimentary pass but I have not heard anything from AMMG and no such promise or quid pro pro arrangement has been made.